The best thing that's ever happened to Craig is also the worst: Amy. Amy and Craig never should've gotten together. Craig is an awkward Dungeons & Dragons-playing geek, and Amy is the beautiful, fiercely intelligent student-body president of their high school. Seven heartbreaks. Seven joys.Told nonsequentially, acclaimed playwright Don Zolidis's debut novel is a brutally funny, bittersweet taste of the utterly unique and universal experience of first love. Don Zolidis grew up in Wisconsin, went to college in Minnesota, and is mostly known for being a really funny playwright. For the past five years, he's been the most-produced playwright in American schools. His more than one hundred published plays have been performed tens of thousands of times, and have appeared in sixty-four different countries. He currently splits his time between New York and Texas, and has two adorable boys who will someday read this book and have a lot of questions. He aspires to owning a dog. 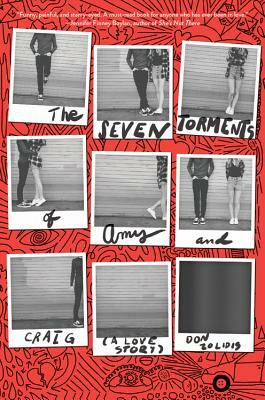 The Seven Torments of Amy and Craig is his first novel. He's hard at work on the next one.